The Platinum Delta SkyMiles® Business Credit Card from American Express provides plenty of perks for the business traveler who spends as much time working from a tray table as at a traditional desk (American Express is a CardRatings advertiser). The card allows you to rack up extra points for your Delta purchases, as well as points for the rest of your purchases. Those points can then be redeemed for flights, hotel stays, car rentals and more. Two miles for every dollar of Delta purchases. One mile for every other dollar spent. Miles never expire so you can save up for the trip of a lifetime or use them as soon as you want; the choice is yours. The Platinum Delta SkyMiles® Business Credit Card from American Express's rewards program includes multiple ways to get even more SkyMiles® and MQMs. New cardholders can earn 35,000 bonus miles and 5,000 MQMs after you spend $1,000 during the first three months and earn a $100 statement credit after making a Delta purchase on your card in the first three months. With many cards, the bonus mile options are available only to new cardholders, but Platinum Delta SkyMiles® Business Credit Card from American Express cardholders have an opportunity to earn bonus miles each year of their card membership (more on that below). It's just one of several reasons this card could be worth the $195 annual fee. See Rates and Fees. Earn Medallion® Qualification Miles in addition to SkyMiles®, raising your status and options when you fly Delta or its partners. Earning status miles is not necessarily common among airline rewards cards. Earn a domestic main cabin companion ticket each year your renew your card. There are ongoing opportunities to earn major mileage bonuses that extend beyond your first year as a card member. 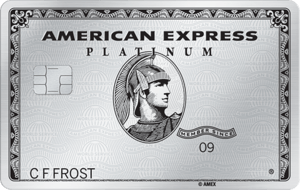 The annual fee of $195 means this card is best for people who will fully use its perks and features. If you aren't brand loyal, there are likely better card options for you. When it comes to a credit card for your business, you want to know that you're getting everything you need – plus some extra perks – if you're paying an annual fee. In the case of the Platinum Delta SkyMiles® Business Credit Card from American Express, that annual fee is significant at $195 but if travel is a regular part of your business that fee would likely be offset with all the rewards-earning opportunities and flexible redemption options. So, let's talk about earning those rewards. As we mentioned above, you earn two miles per $1 spent with Delta and one mile per $1 for all your other purchases; that means all your business purchases, on travel or otherwise, will go toward helping you bank rewards. Don't overlook the welcome offer that gets you off to a decent start with 35,000 bonus miles and 5,000 Medallion® Qualification Miles after you spend just $3,000 in the first three months and allows you to earn a $100 statement credit after making a Delta purchase on your card in the first three months. Intro bonuses are always nice, but the problem is that they're introductory and the chance for big bonus reward gains often ends after your first several months with the card. But with the Platinum Delta SkyMiles® Business Credit Card from American Express, bonus miles are also available to you annually. Each calendar year you spend $25,000 on the card, you'll earn 10,000 bonus miles and 10,000 MQMs; spend $50,000 in the calendar year and you'll earn an additional 10,000 bonus miles and 10,000 MQMs. All those rewards you earn can be redeemed for seats on Delta and partner flights, upgrades to First Class or Delta One™, hotel stays, car rentals and merchandise. Basically, your business' travel needs are likely eligible to be covered by your rewards. Plus, the Platinum Delta SkyMiles® Business Credit Card from American Express offers a domestic main cabin round-trip companion certificate each year, which allows you to let a guest fly with you for free. (Note: Your companion may still have to pay taxes and fees for that flight.) Depending on the flight, that alone may offset that annual fee. There are plenty of comforting travel perks with this card beyond the rewards. Cardholders receive priority boarding, your first checked bag free, 20 percent off in-flight purchases, baggage insurance, car rental loss and damage insurance, and roadside assistance. Lastly, the Platinum Delta SkyMiles® Business Credit Card from American Express doesn't charge foreign transaction fees, so go ahead and take that business trip abroad; you won't be on the hook for additional fees on all your purchases. The $195 annual fee can take a bite out of your SkyMiles® gains, so you'll want to make sure the SkyMiles® more than offset the fee. The $100 statement credit after you make a Delta purchase with your card within the first three months can help offset the annual fee in the first year and the annual companion certificate will go a long way toward offsetting that fee in subsequent years. This probably isn't the right card for you if you're looking to make a balance transfer. There isn't a 0 percent intro period for transfers and there IS a 3 percent balance transfer fee. If you're looking for a 0 interest period for balance transfers, you'll want to look elsewhere. Earn 35,000 Bonus miles and 5,000 Medallion® Qualification Miles (MQMs) after you spend $1,000 in purchases on your new Card in your first 3 months and a $100 statement credit after you make a Delta purchase with your new Card within your first 3 months. The Gold Delta SkyMiles® Business Credit Card from American Express offers many of the same perks as the Platinum Delta SkyMiles® Business Credit Card from American Express, but with a lower annual fee and less lucrative welcome offer. The Gold Delta SkyMiles® Business Credit Card from American Express's annual fee is $95 (See Rates and Fees), which is $100 less than with the Platinum Delta SkyMiles® Business Credit Card from American Express card, plus the Gold Delta SkyMiles® Business Credit Card from American Express waives the fee for the first year while the Platinum Delta SkyMiles® Business Credit Card from American Express does not. The fee difference could certainly be a deciding factor if your business doesn't require enough travel to make that higher fee worthwhile. With the Gold Delta SkyMiles® Business Credit Card from American Express, you can earn 30,000 bonus miles when you make $1,000 in purchases in the first three months, plus you get a $50 statement credit when making a Delta purchase with your new card during the first three months. Beyond those things, you do get many of the same benefits on both cards. For instance, both cards offer two miles for every $1 spent directly with Delta, priority seating, your first checked bag free and no foreign transaction fees. The decision comes down to whether you want a more generous bonus program and MQMs or you prefer to pay a lower annual fee. 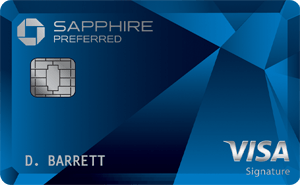 This card isn't specifically an air miles rewards card, but Chase Ultimate Rewards® can certainly be redeemed for flights – in fact, you'll receive 25 percent of your points back each time you redeem for travel through the Ultimate Rewards portal – so the Ink Business Preferred℠ Credit Card is worth a look for the business that travels regularly (or even just occasionally). With the Ink Business Preferred℠ Credit Card, you earn bonus points (three points per $1) in a number of common business categories including travel, shipping, some advertising and several other categories up to $150,000 spent annually. After that, and on all other purchases, you earn one point per $1. The annual fee with this card is less at $95 and you won't pay any foreign transaction fees. Plus, there's currently an 80,000-point bonus (worth $1,000 in travel when redeemed through Chase Ultimate Rewards®) after you spend $5,000 within the first three months. When you're comparing a branded card to a non-branded card, you have to think about your loyalty to that brand. If it isn't particularly strong, you're likely better off with a more general rewards card, like the Ink Business Preferred℠ Credit Card that allows you to redeem your rewards for travel. The Capital One® Spark® Miles for Business card offers plenty of rewards earning opportunities for the regular business traveler as well as the freedom to choose your airline and redeem your rewards with a healthy dose of flexibility. The welcome bonus is nice: Earn a one-time bonus of 50,000 miles when you spend $4,500 in the first three months of opening your account. You also earn two miles for every $1 spent on the Capital One® Spark® Miles for Business and the annual fee is lower at $0 intro for first year; $95 after that. You won't pay foreign transaction fees with this card and you'll enjoy most of the same extra protections, such car rental insurance and 24-hour travel and emergency assistance services. What you won't get with this card that you do with the Platinum Delta SkyMiles® Business Credit Card from American Express is the extra perks that reward you for being brand loyal – things like a discount on in-flight purchases or your first checked bag free. You also won't have an avenue to earn a companion ticket specifically with the purchases you make on this card. You will enjoy the same freedom to shop foreign-transaction-fee-free while abroad as well as many similar business-focused tools and features as those offered with the American Express card. You also benefit while you're in the air since the card offers a 20 percent discount for in-flight food, beverage, television shows, video games and headsets. But this card is not only about flights. There are plenty of travel perks, too, including baggage insurance, car rental loss and damage insurance, and roadside assistance. Whether this card is right for you depends on how much you fly Delta and whether the card's bonuses and perks offset the $195 annual fee.